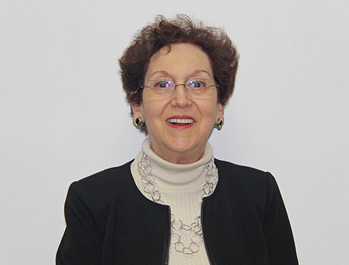 Edith O'Donnell - Lyons Mortgage Services, Inc.
Edith O’Donnell serves as CEO & Corporate Secretary and is one of the Founders of Lyons Mortgage Services, Inc.
She has over 30 years experience in the real estate / mortgage industry. Prior to working in the Mortgage Industry, Edith was an instructor of English at C.W. Post College of Long Island University. She is also very active in her church, including serving as Steering Committee Member for the new church building as well as Youth Group Advisor and Parish Council Member. Edith was also elected to two 5 year terms on the Glen Cove School Board, serving as President for the last 2 years of her term. She was also a member of the Board of the NYS Association of Small City School Districts. Edith continues her commitment to Education and the community. She was recently honored with a Long Island Power Women in Business Award. Edith received her Masters of Arts Degree from New York University and her Bachelor of Arts Degree from C.W. Post College.